Bonding is one of the most affordable and quickest cosmetic dental procedures that can correct minor imperfections. It is usually performed to fill in the gaps between teeth, repair chipped and cracked teeth,improve the appearance of discolored teeth or restore decayed teeth. Before the procedure, our dentist will choose the color of bonding material that will match the color of your natural tooth that needs to be repaired.Next, our dentist will roughen the tooth and coat it with conditioning liquid which will help the bonding material stick better to the tooth. In our office we use composite resin as the bonding material. After the tooth is ready, the resin will be applied, molded and smoothed until it reaches the desired shape. Then, a special light will be used to harden the resin. Finally, our dentist will further shape and polish the material to match your natural teeth. The procedure is quick and painless. 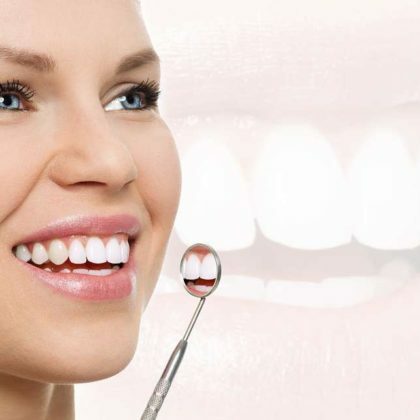 Normally it takes between 30 and 60 minutes per tooth and no anesthesia is necessary unless dental bonding is performed to restore a decayed tooth.When composite resin is used as filling material for a cavity, prior to the process of bonding the dentist will have to give you the local anesthesia and thoroughly clean the tooth by removing decay. Most patients prefer white fillings to amalgam due to their aesthetic advantage.White fillings will keep your smile bright! When composite resin is used as filling material for a cavity, prior to the process of bonding the dentist will have to give you the local anesthesia and thoroughly clean the tooth by removing decay. Most patients prefer white fillings to amalgam due to their aesthetic advantage.White fillings will keep your smile bright!